Though John James Audubon is well-known for his study of birds, he was also a master of documenting North American mammals. 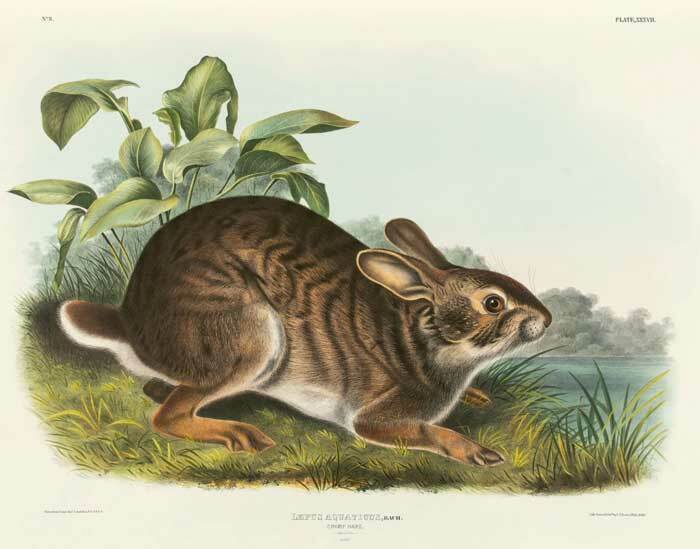 A new book, Audubon’s Last Wilderness Journey: The Viviparous Quadrupeds of North America, collects all 150 hand-colored lithographic prints that Audubon made from 1845 to 1848. It is the largest and most significant color plate book produced in the United States in the nineteenth century, and a fitting monument to the genius of America’s most famous ornithologist, naturalist, and painter. 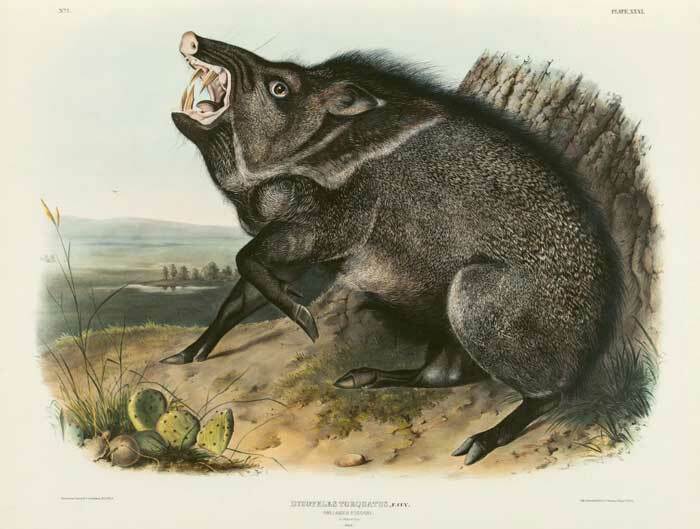 Measuring an impressive 27 3/4 x 21 1/4 inches, the Quadrupeds was published in 1845-48 as a three-volume elephant folio broadsheet edition, the artist’s final great natural history work and the first single publication to document America’s animals. 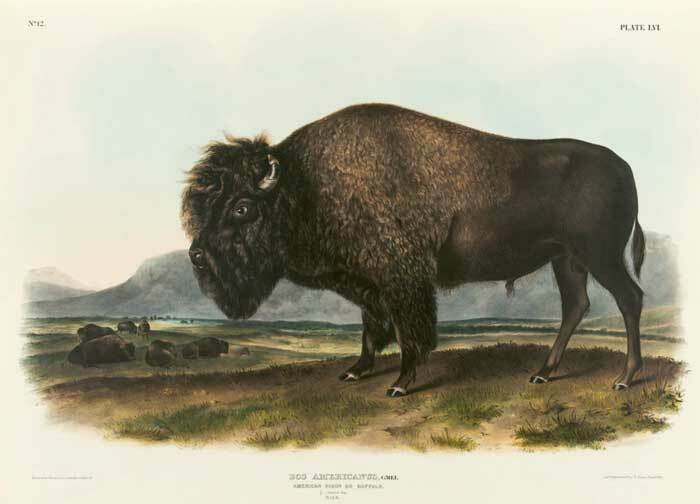 Audubon’s Last Wilderness Journey reproduces all one hundred and fifty original lithographic prints in color, with a timeline of Audubon’s life and career. Essays by noted experts in art history, wildlife science, and ecology put this remarkable work in context, explaining its technical, artistic, and scientific importance and legacy. 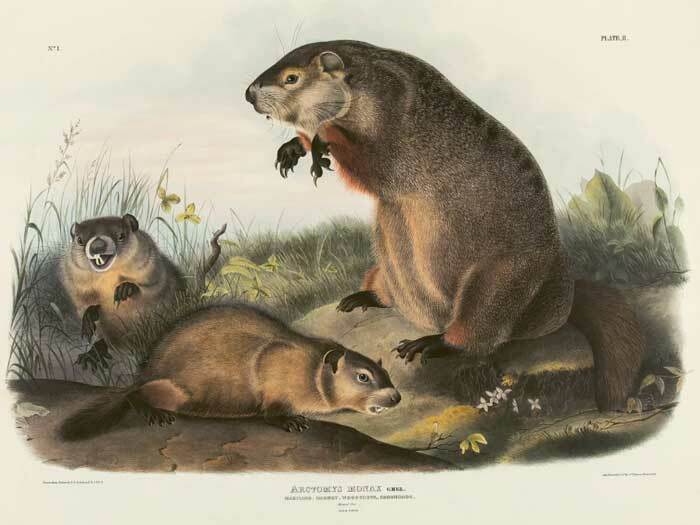 They consider the enduring zoological and ecological significance of the Quadrupeds folios, including their scientific value to issues such as classification, and how our relationship towards nature has changed since the 1840s. Along with the book, an exhibition at Auburn University in Alabama will run through May 6–it offers more details about Audubon’s travels to collect specimens. Below are some plates from the book. Images are courtesy of GILES publishing.